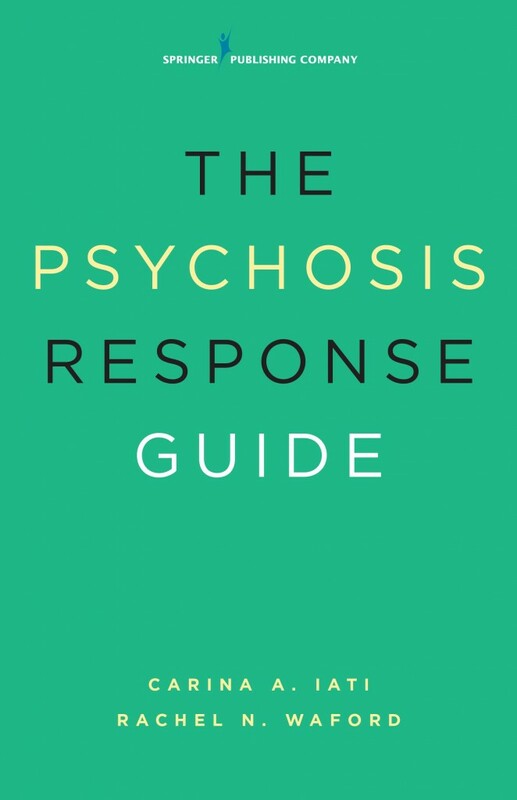 The authors of The Psychosis Response Guide: How to Help Young People in Psychiatric Crises look at an area of mental health that is often stigmatized and confusing, but also is a problem that is affecting many people. This book attempts to demystify how young people experience a psychiatric crisis and what steps others can take to stabilize the situation and provide necessary support. Iati and Waford explain mental illness in a way that is easy to comprehend and adaptable to many situations. The book provides step-by-step guidelines for recognizing the symptoms and warning signs of a psychiatric crisis and determining when an individual should seek professional help. Detailed examples and vignettes give a real-life perspective to those seeking to support those living with psychosis. This book is intended for those who are not in the counseling profession. Family members, friends, co-workers and peers can obtain the information needed to recognize and potentially intervene in a psychotic crisis. Iati and Waford are diligent when providing the crucial information needed to identify a psychiatric crisis, but are cautious when instructing their readers to act without the guidance of professional help. The book consistently reminds its readers that everyone is unique, and that there is value to knowing one’s limits and not jumping to conclusions based on one situation. Readers can connect to this book through the personal vignettes shared within. These perspectives make the experiences that many people struggle with real and personable. Mental illness carries many stereotypes and myths; however, Iati and Waford provide facts to guarantee that readers finish this book with an intentional understanding of how to notice when a psychotic crisis is occurring and how to intervene. Readers are now able to comprehend and convey specific disorders, symptoms and potential treatment options. Knowledge gained from this book can allow for a stronger support system for young people experiencing a psychotic crisis, because the foundational information in the book is accessible to all. Although the information provided is concise and valuable, and leads people to have a better understanding of mental illness, it still may be difficult to digest for readers who are not in the mental health care profession. It can be an overwhelming experience if a family is in crisis and desperately reading through this book to find answers. Iati and Waford diligently remind the reader to seek professional help, but under pressure, families may attempt to approach the person in psychotic crisis in a way that is harmful. I am concerned that readers may substitute this book for professional help, as can be the case for many books that provide mental health information. Counseling professionals have the opportunity to use this book as a resource for the families with which they work. While the focus is often on the clients, counselors also can educate their clients’ families on mental illness and what families can expect. By reading this book, counselors can feel prepared when explaining mental illness to families, and encourage support and understanding toward young people experiencing a psychotic crisis. Practical takeaways are available for the counseling profession, such as simple assessments and outlined criteria for disorders, along with ideas for developing a treatment plan. This is a resource that counselors can refer to throughout their career for better informing their clinical practice, how they consult with colleagues, and how they supervise counselors-in-training. Even though the book may not be directed at counselors, this can be an opportunity for counselors to review what they know about mental illness and improve how they work with young adult clients. Iati, C. A., & Waford, R. N. (2016). The psychosis response guide: How to help young people in psychiatric crises. New York, NY: Springer.